NICK COLGAN took one glance at Hibernian’s entire staff pictured outside the club’s East Lothian training base and immediately knew ‘Hecky’ was working his magic. The former Easter Road favourite remains firm friends with Paul Heckingbottom, having played alongside the Yorkshireman at Barnsley for two years before they simultaneously took their first steps into coaching together in the youth academy at Oakwell. And Colgan is adamant Heckingbottom was always a top boss in the making, willing to speak his mind in dressing room summits and ready to demand exacting standards from his teammates. Success followed as gaffer at Barnsley, winning promotion to the Championship and the FA Trophy in 2016, before a forgettable four-month stint at Leeds United. However, early signs suggest the Hibees have won a watch with the appointment, with Heckingbottom racking up 20 points from a possible 24 in his opening Premiership games, claiming a first win at Tynecastle since 2013 and igniting hopes of a push for Europe. 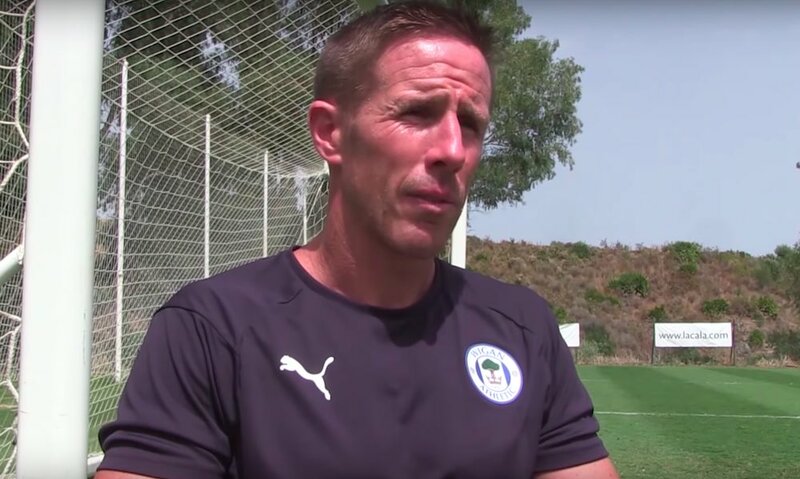 “I can’t speak highly enough of him as a teammate and then we worked together in Barnsley’s youth academy,” said Colgan, who played close to 150 times for Hibs between 1999 and 2004. “I have the utmost respect for him as a person and a coach.“He was never one to keep his mouth shut when players were being asked for his opinion, that’s for sure. “He was vocal, would cajole and encourage teammates and – whether it was a positive team meeting or a more difficult one – he would always have something to say. Despite his modern methods, Colgan believes it is Heckingbottom’s old fashioned values that will create an unrivalled togetherness at Easter Road. 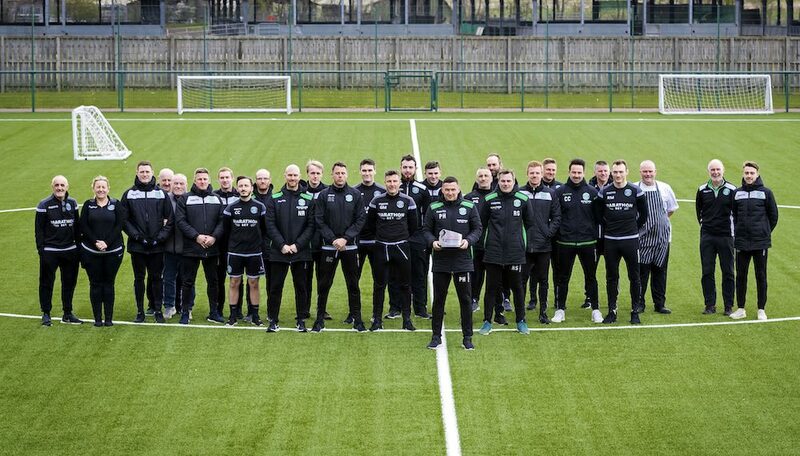 The Irishman reckons that was underlined when his pal assembled every single member of staff employed at Hibs’ training centre for the official photograph when he was named Premiership manager of the month for March. “He creates a camaraderie from top to bottom and will make sure everyone at Hibs is pulling in the same direction,” Colgan told Capital City Press. “The thing that really summed him up was when I noticed he received manager of the month – and then I saw the picture. Loads of managers will just be photographed by themselves or with their very close staff. Hecky had a picture with everyone up at the training ground! Colgan also played alongside Heckingbottom’s assistant Robbie Stockdale at Grimsby and believes the former Scotland internationalist will be an invaluable sounding board having emerged from the trials and tribulations of relegation to League One with Sunderland – in front of the Netflix cameras. “Robbie was one of our better and more experienced players at Grimsby,” Colgan continued. “Unfortunately he was injured during the time I was there. But you could see he was a really good character and had a big personality to go with his pedigree. “Everything he has gone through at Sunderland – I’m not sure he ever expected to become a Netflix star – will stand him in good stead. And Colgan, who lined up against AEK Athens in 2001 in one of the Hibees’ most famous European nights in recent times, would love to see Heckingbottom make up the six-point gap to Kilmarnock and secure Europa League football.